Fashion Memos: Long time, No see! 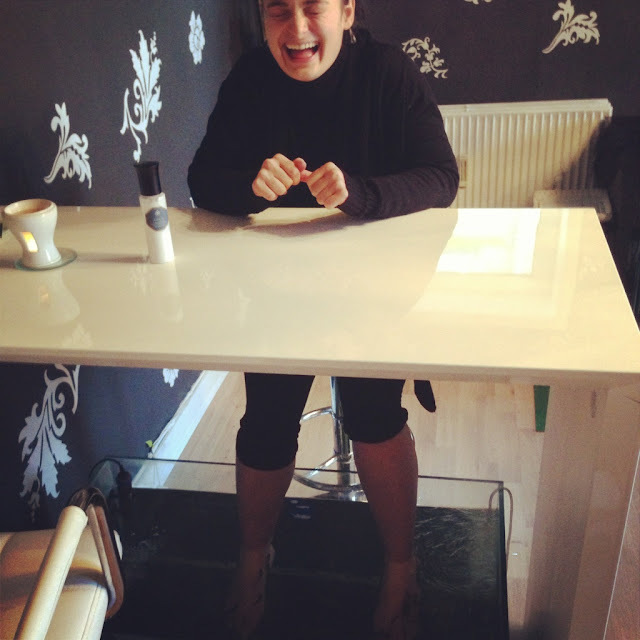 I wanted to share this great experience at the fish foot spa:D, one of the great presents I received from my boyfriend. It was amazing and I had a lot of fun. If you have not tried it, I totally recommend you to do that. If you live in Denmark you can check out HERE, for available offers in the deal sites, where you can find great prices. Tomorrow, CPH fashion week begins so look forward for updates from the Scandinavian fashion capital. The holidays are definitely a busy time. And oh gosh, that looks insane! looks like it was a bit weird ;) wanna try that too!! we know that kinda stress from school, soo annoying!